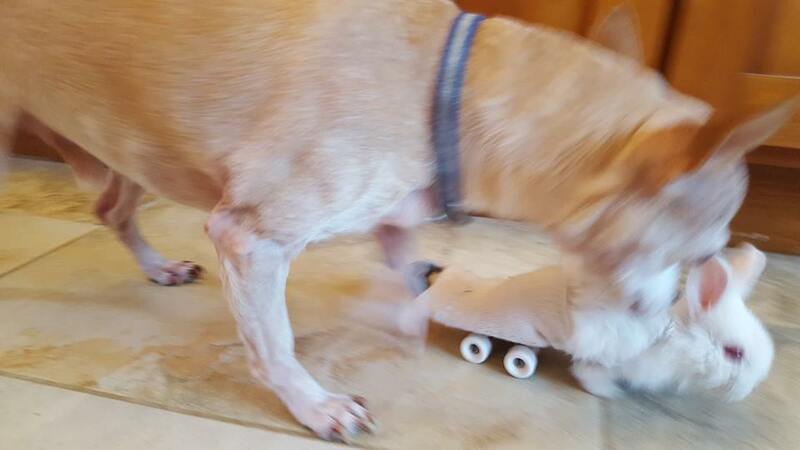 Wheelz was found stiff and frozen by a farmer at Overlook Acres, US. 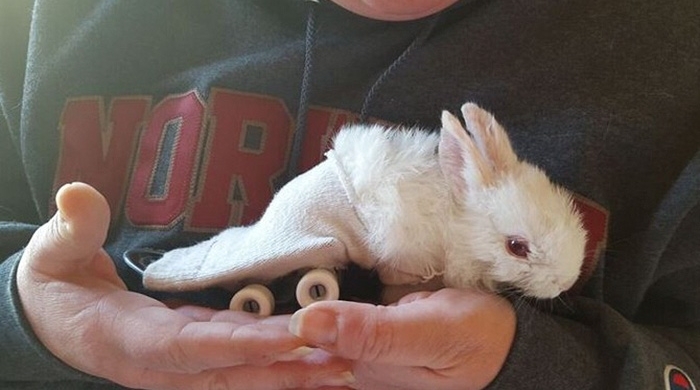 He was more than likely injured by an older rabbit who dragged him out of his nest box. Normally, the bunny would have been put down to take him out of the misery. But Wheelz was determined to live, even if paralyzed, so the farm’s owners decided to keep him as a pet. 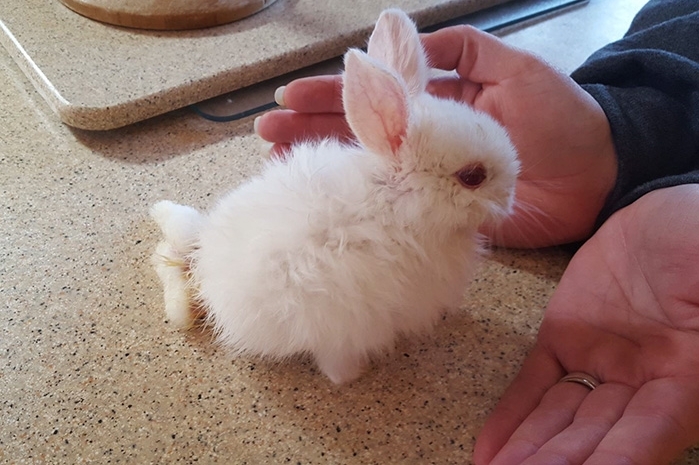 If you are considering adopting a rabbit, here are just some of the things you should know: Rabbits may live eight to twelve years, so make sure you are ready for that kind of commitment. 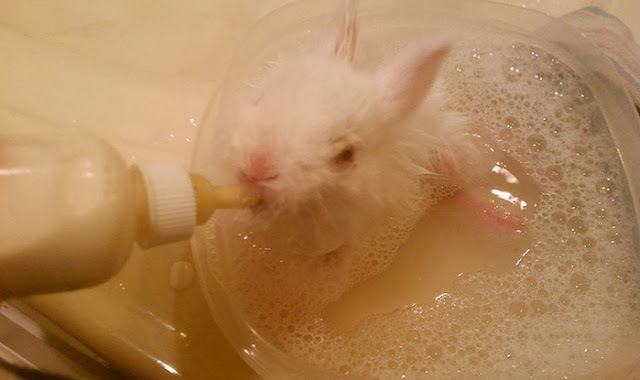 Rabbits need daily care. If they are not handled gently and often, they may not be comfortable with being picked up and cuddled. Rabbits love the company of other rabbits. If you have one bunny, think about getting him or her a companion. Rabbits are intelligent and curious, and consequently a bored rabbit can be a destructive and unhappy rabbit. Digging and chewing are among their favorite pastimes, so whether he's inside a cage or out, your rabbit needs plenty of toys to keep busy. 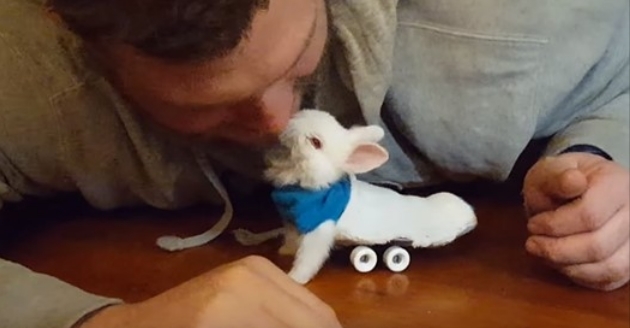 Responses to "Paralyzed Bunny Gets A Tiny Skateboard Wheelchair To Move Around"
Just like raising a baby, enjoy the little fellow.